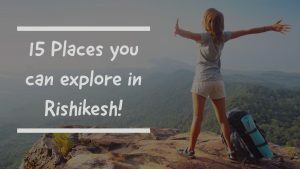 15 Places to explore in Rishikesh! Summer is about to finish and again long weekend is heading,wondering what you can do in coming holidays.Pack your shoes,compass and binoculars and head to Rishikesh for an ideal weekend filled with outdoor adventures, spiritual attractions, picturesque Hills, and much more. 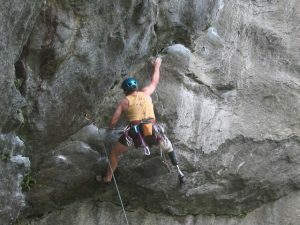 Check out interesting places/activities in Rishikesh to suit every mood—energetic or lazy, self-indulgent or adventurous. Raft: Enjoy a fabulous day rafting at Shivpuri for 3 hours.On this amazing course you will be enthralled with the view of sandy beaches oak and pine trees various ashrams and more. 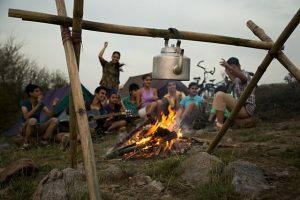 Bonfire at Jungle Camp: Quality time with friends and family in the heart of the wilderness.Set up a tent and bonfire to keep you warm and spend an exciting night at the jungle under the starry sky. 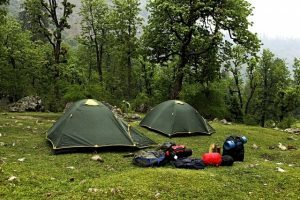 Camping in Rishikesh: Perform various adventurous activities at Rishikesh such as rock climbing rappelling bonfire and so on.Visit the beautiful places in Rishikesh to get an insight on the history of ancient temples. 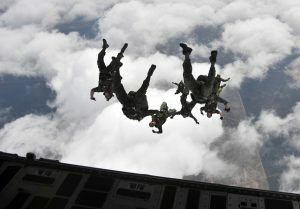 Free Fall: Gain confidence to win your fear of heights and enjoy the thrill in floating against gravity.Get tips and techniques of free fall from the experts who will guide you to have a safe landing.Take part in free fall and have an adventurous experience which you will cherish throughout your life. Air Safari Rishikesh: Experience the thrill of air safari and fly high up in the sky.Get a 360 degree bird’s-eye view from up top in the sky. Witness the beautiful landscape covering the dense forests, Shivalik Mountains,Rishikesh and the Ganga. 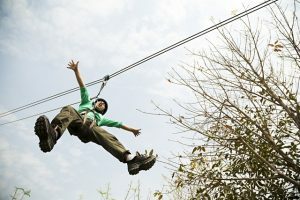 Ziplining: Experience one of the wildest adrenaline rushes you’ve ever had in this zip-lining session.The zip-lining system here consists of extremely safe equipment so that you can fully enjoy this session. Zip-line through the breath-taking Ganges and experience a view which you can never forget in your life. Waterfall Trek: Mesmerizing waterfall and a trek amidst the jungle makes it a haven for the adventure lovers.Roaring waterfalls and spectacular view of the forest justifies the amazing beauty of the nature.Scenic view of the lush greenery all through the way helps you refresh your stressed up mind and body. Under the forest Canopy: 22 hours of rest relaxation and adventure.Go on a guided night trek through small villages in the area.Huddle around a campfire and share your stories with other camper. 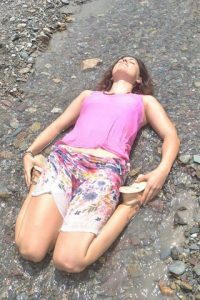 Local Sightseeing: Get your curiosity cleared about Yoga Meditation and various aspects of Hinduism Rishikesh is popular among those who are looking for a religious belief as well as adventure lovers. 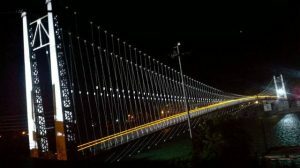 You will be visiting the popular attractions including Ram Jhula,Laxman Jhula and Triveni Ghat and many more. 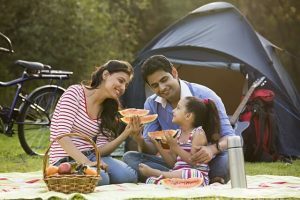 Jeep Safari at Rajaji National Park: Rajaji Tiger Reserve Park opens a vista of enchanting wildlife in pristine and unadulterated form.The park has been created in 1983 by combining three sanctuaries- Rajaji sanctuary (estd. 1948) Motichur sanctuary (estd. 1964) and Chilla sanctuary (estd. 1977). 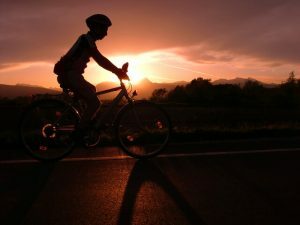 Pedal around Rishikesh: A tour through the hamlets of Rishikesh and the rich culture associated with it.Cycle through the holy city of Rishikesh for 4-5 hours. 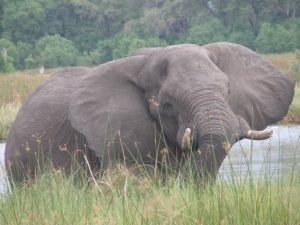 Explore your way through the jungles and witness nature’s beauty at its best. 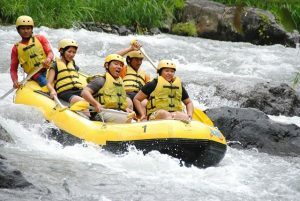 Spend weekend in Luxury Cottages: Good place for adventurous sport lovers and you can play river rafting,cliff jumping,swimming and floating. Soak into the beauty of serenity of nature by walking along the banks of river Ganga as well as the forest. Spend your weekend more relaxing by staying in a luxurious cottage within the beautiful forest and mountain. 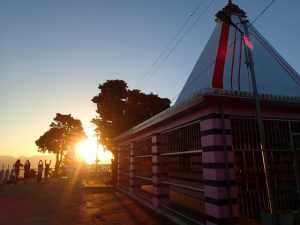 Trek to Spirituality: Enjoy the magnificent view of the Garhwal Himalayan range in the north and Doon Valley in the south.Take a hike to Kanjapuri temple a must-visit place in the Tehri district in Uttrakhand. Trek to a place that is 1676 meters above sea-level. Meditation Classes on the foothills of Shivalik Ranges: Embrace the power of meditation and enhance your overall well-being in the middle of beautiful Shivalik foothills.Meditation will help you increase concentration immunity better sleep and in relieving stress.With the help of our techniques you will be able to achieve the balance between body and mind. Abhyanga Body Massage: Treat yourself to Abhyanga -an ancient Indian Ayurvedic oil massage therapy for healing and detoxifying Body, Mind and Spirit. 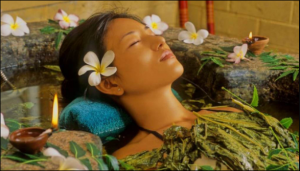 Experience perfect wellness with high standards of hygiene and safety and therapeutic massages designed around individual’s condition or disease.